Hi Shona, firstly, thank you for inviting me to complete this interview. I am married, a mum and grandmother and live in West Sussex. I am presently studying for an MA in Creative Writing. As well as a novelist, I am also a poet. 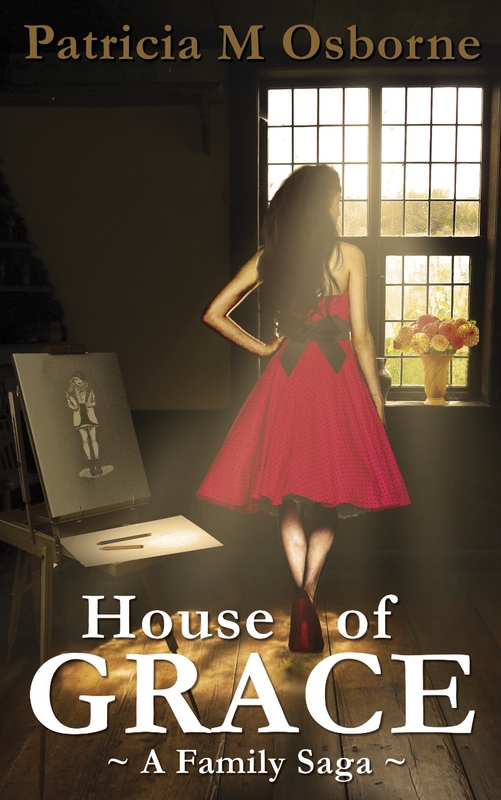 House of Grace, my debut novel, is a family saga and begins in 1950. Grace, the protagonist, yearns to be a fashion designer from an early age, but Lord Grantham, her father, has other ideas. The story is told in two parts where the reader travels with Grace as she faces family conflict, poverty and tragedy. We waved goodbye to James. He promised to come and pick us up when the dance finished. The foyer was just inside the door and Katy handed over the banknote to the uniformed cashier who returned six shillings. Katy took my arm and led me towards a door on the left. As we entered, I took in the plush powder room. Big white-framed mirrors hung either side of the wall above swish red and gold chairs. We checked our hair and make-up then descended more stairs to a large cloakroom where we left our coats. Quite a few things inspired me. The first, George Orwell’s, Road to Wigan Pier. I had written a passage: ‘A Day as a Miner’s Wife,’ for an exercise. The character I created seemed ideal for my protagonist, but more was needed to make a story. Mr Selfridge encouraged me to create a retail environment, Downton Abbey aided me with Family Saga and House of Elliot inspired my title. I’m working on The Coal Miner’s Son. This is the second in the series of House of Grace. The Coal Miner’s Son may be read following House of Grace or as a stand-alone as it runs alongside rather than a sequel. The plan is to complete a trilogy. I like writing about families and I particularly like writing about the fifties and sixties. This is probably due to the impact the time period had on me when I was growing up. When writing poetry, I am more drawn to nature. I’ve always liked to write. 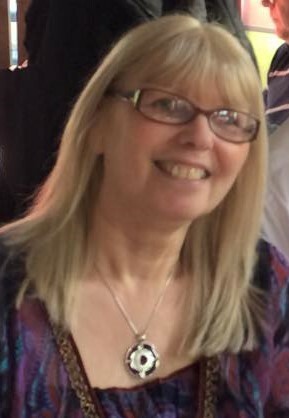 I won my first poetry competition around aged six but I’ve only begun to write seriously since I first started studying Creative Writing six years ago with the Open University for my BA degree and later my MA with the University of Brighton. I’ll stop what I’m doing and if possible take a walk. Perhaps write a poem or offer a critique on a fellow writer’s work in my writers’ forum. I often resort to mind mapping where I mark my theme in the centre and sprout shoots of connecting words and ideas. I love layering and editing. This is when the story begins to come to life. The worst part is starting a new project and staring at a blank page. For this reason, I tend to start off new ventures in a notebook. The internet. I tend to keep Facebook open ready for research and support but sometimes it can get in the way. I’d say I was mainly a plotter but I’m also a pantser as I plot my beginnings, middle and end. Often, I don’t have a clue where the bits in-between will lead. Black coffee. It’s nice and easy when you’ve been away and come home and there’s no milk. I went off tea when I was expecting my second child thirty-seven years ago and I’ve not been able to drink it since. I’ve learned that the first draft is just a framework and the real writing begins in the layering and editing. I’m still learning about publishing. Don’t give up. Believe in yourself.